Living in the South is a water-lovers paradise; if you own a boat – so much the better. But with that pleasure comes much responsibility for being safe. You have to consider your liability should you have an accident while on the lake, just as when you are driving your car. In the first incident, where two boats collide, both drivers are usually partly at fault. This means that you could have a case against both drivers depending upon the surrounding circumstances. In the second scenario, when your boat hits another boat’s wake, there are several factors that may be considered in determining who is at fault. These factors include speed, visibility, the size of the wake, and the type of boat. An accident involving a wave is very similar to one with a wake, and some of the same criteria may be used in determining who is at fault. A collision with a submerged object, such as a rock, may be considered the driver’s fault, but only if it is determined that negligence was involved. For example, speeding in foggy weather without using GPS is considered negligence under the laws of the water. 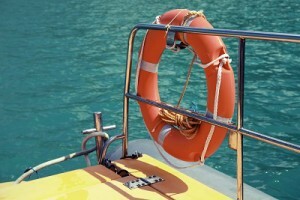 Boating accidents are very similar to car accidents. Just as in a car accident, if you are injured while boating, and the driver is deemed negligent, you are entitled to recover damages for your injuries.